Our best veterinary clients — the ones who have come to us for years — are compliant with our recommendations, inherently trust all members of our team, choose to support our small business by utilizing our ancillary services despite less expensive alternatives, and promote our hospital in the best light to all their friends and neighbors. These are the clients for whom we want to do all we can to ensure that they feel appreciated and valued. As a veterinary practice and its client base grow, employees turn over and team member roles get fragmented. Identifying top clients and consistently rewarding and reinforcing their behavior becomes increasingly difficult. This is where a loyalty rewards program can come into play. I first implemented one into our practice in 2013. 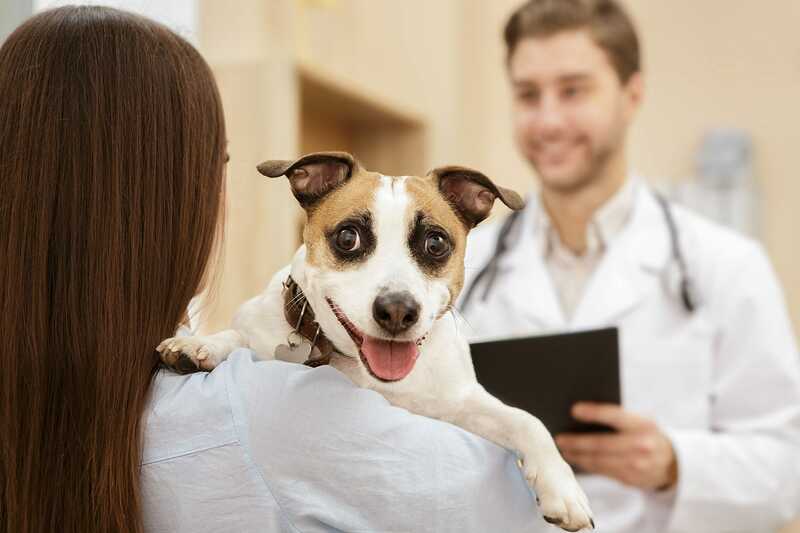 The popular 2011 Bayer Veterinary Usage Study stated, among other things, that patient visits were declining and that clients were experiencing sticker shock, would come in more frequently if each visit was less expensive, and would consider switching hospitals in response to a competitor’s deal. Say “yes” more often to the diagnostics and treatments we recommended. Lower the cost of individual visits but increase the number of visits per year — and, in turn, annual expenditures. Entice clients to continue purchasing products through us even though they were readily available elsewhere. Essentially, I wanted more clients to act like our best clients and reduce the time and effort in getting newer clients to a loyal status. The question was, how do I do this efficiently, to the financial benefit of the hospital, and without creating an atmosphere of discounted veterinary care? Cash value. Unlike ambiguous point systems, programs with easy-to-understand, cash-equivalent reward values are preferred. Choice of redemption options. Clients want flexibility with how to use their rewards. For example, while a free or discounted dental cleaning is of great value to some pet owners, it is of no use to others. Aspiration value. Clients respond to programs that motivate a psychological change in spending behavior. They are rewarded with the ability to provide their pet with the next level of veterinary care. Clients lose interest in programs that take excessive time to accumulate real value. Requiring too much effort on the client’s part to earn rewards disincentivizes participation in the program. After reviewing my options, I landed on the annual paid membership rewards model proposed by Rethink Veterinary Solutions. While the details can be customized, memberships earn clients a certain number of free exams, provide a percentage-based invoice credit redeemable during future visits and contribute toward the hospital’s charitable efforts. In addition to ticking the five boxes for program value from a client’s perspective, I am drawn by the simplicity of administration and explanation. I also feel the charity component keeps with the trend of corporate responsibility and philanthropy, giving us a vehicle to generate goodwill and create repetition of the message that we are committed to giving back to our community. While I felt confident in the logic behind a rewards program and the theory of creating loyalty, I was nervous about the logistics of execution and the program’s long-term sustainability. Implementation went better than expected. Understandably, team members were hesitant, but they quickly embraced the changes as clients proved receptive. The adoption rate soon rose to over 50 percent of current clients and a 70 percent annual renewal rate, a figure that has held steady. Clients regularly express appreciation for the program and cite it in satisfaction surveys as a reason they continue to use our hospital. I chose to have our reception team do the vast majority of the work promoting and managing the program. While redeeming rewards does add a step to the checkout process, the time spent is relatively negligible, barring technical glitches. What I like most is that this transaction helps soften the discomfort of sticker shock. Instead of ending an appointment with simply what is owed, we get to discuss what was saved today and earned for next time. Now that the rewards program is ingrained in our hospital culture, my goal is to evaluate our effectiveness of continually educating clients on the benefits of their loyalty and find ways to motivate them to reinvest the rewards in ways that are both beneficial to their pet and our practice. This is not meant to be a stagnant program that becomes an entitlement for clients or an expense line in our books. The intention is to accelerate the loyalty life cycle and realize the increased profitability of loyal clients over time. No single marketing strategy can be implemented in a vacuum, so evaluating the success of our rewards program is difficult. Countless external and internal factors that play into the metrics of a hospital can skew results in either direction. However, I have zoned into a few key performance indicators that I believe demonstrate my perceived effectiveness of the rewards program. In the four years before the program’s introduction, our patient visits per year would not budge from 3.2. In the four years since, the metric has consistently risen year over year to 3.5 visits per year, a 9 percent increase. More compelling, the average amount that clients spent per patient per year showed a bell-curve pattern before program implementation. The downward half had me worried. After initiating the rewards program, patient expenditure has risen steadily and is up 17 percent over the average of the years prior. We chose to have our doctors share the program’s financial risk. Despite this negative line item on their commissions, they earn over 30 percent more per hour than they did prior to launch. Most importantly, our established, bustling practice has moved profitability out of the dreaded “no-lo” zone and into something of sustainable value. A question remains: Would this growth have been possible without the rewards program and are we unnecessarily giving away excess revenue and profits? This thought occasionally keeps me up at night, but the metrics of the past few years are promising. Ultimately, our revenue and profitability are continually on the rise, our clients are satisfied and bonded, our team is fairly compensated, our patients are arguably receiving better care, and our financial ability to give back to the community has increased tremendously. I would consider this program to be a success so far. My loyalty to the rewards model remains steadfast. Take Charge columnist Abby Suiter is practice manager at Daniel Island Animal Hospital in Charleston, South Carolina.